Surtrek just debuted an incredible adventure to cruise on a 16-passenger first-class Alya motor yacht, and we’re coveting the chance to join in on the exploration and adventure of this legendary archipelago while traveling in such luxury. 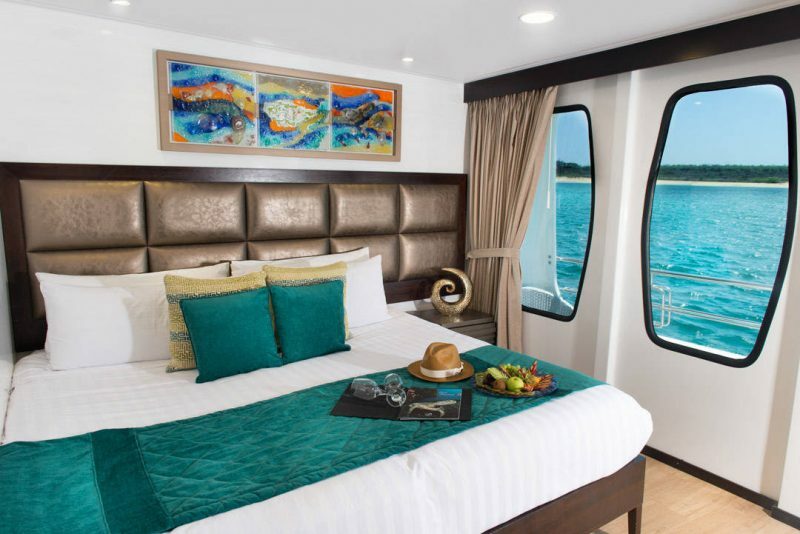 Spend 8-days/7-nights on this new catamaran that has nine comfortable cabins, eight of them with private balconies. Each cabin includes its own private bathroom, cold/hot water, and air conditioning! 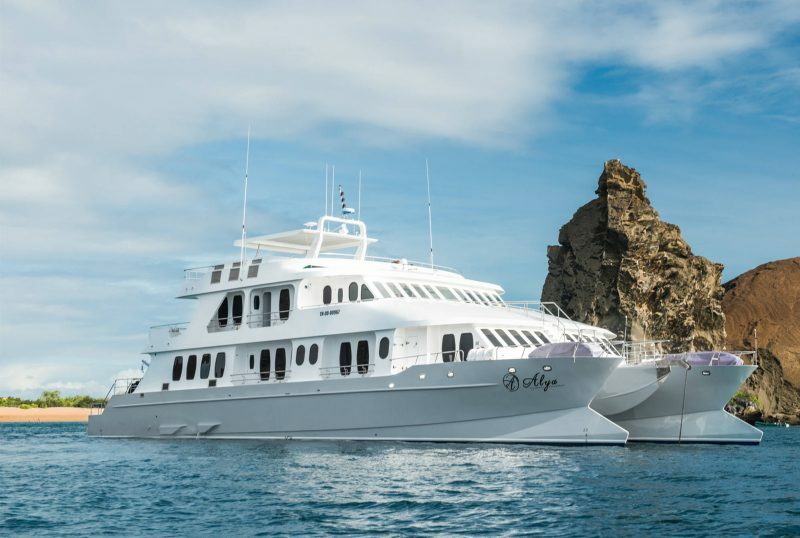 While aboard, you’ll cruise the Galapagos Islands with visits to Santa Cruz, Santiago, Isabela, Rabida, and San Cristobal islands. Throughout, you’ll view unique species of wildlife, explore moon-like lava terrain, walk through lush forests teeming with birds, and snorkel in crystal waters filled with marine life. 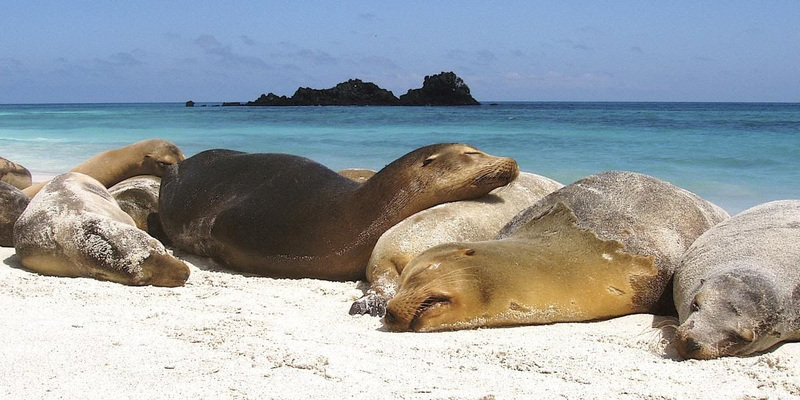 Specific highlights of this new amazing voyage include visiting the agricultural communities that grow the famous organic Galapagos coffee; exploring Moreno Point, a young volcanic landscape with numerous fresh-water pools and lagoons; viewing and snorkeling with animals like dwarf penguins, manta rays, marine iguanas, whale sharks, sea lions and flamingos; hiking the rugged lava coastline of James Bay; and visiting Las Bachas Beach, one of the most important nesting beaches for sea turtles.